Maxine Waters has been one of the president's toughest critics and will likely be heading the House Financial Services Committee. For the first time since his election in 2016, President Donald Trump will be working with Congress not fully controlled by his own party. The Democrats won a majority in the U.S. House of Representatives on Tuesday and now talk has switched to the actions they could take against the president. 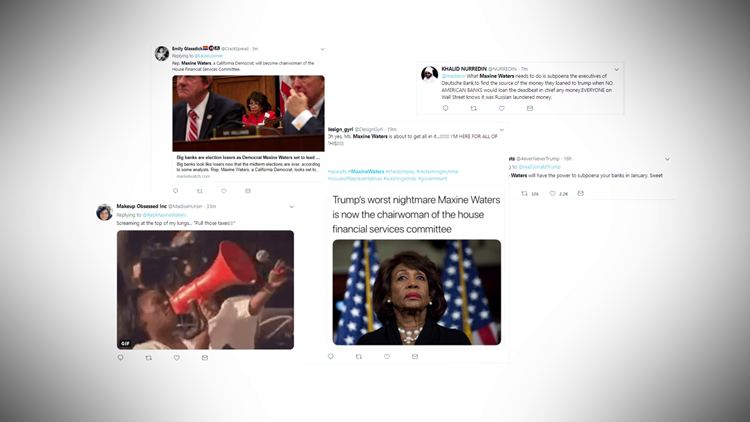 As results trickled in, posts popped up quickly on social media noting that one of the president’s toughest critics – Democrat Maxine Waters – likely will be in charge of the House Financial Committee. As asserted in some of those posts, and asked in others: Can Maxine Waters (or whoever is the House Financial Services Committee Chair) subpoena Trump's bank records, taxes and more? Yes, the chair of the House Financial Services Committee can subpoena the president on a number of financial matters. If Rep. Waters is indeed picked as the chair of the committee, she will have that ability. Yes, any subcommittee chair can order a subpoena relevant to their investigations or duties. For the House Financial Services that includes businesses, banks and individuals. There’s even a law (26 CFR 301.7216-2) letting them subpoena the IRS for anyone's tax records. So yes, the chair of the House Financial Services Committee can subpoena President Trump - or his records, or his banks' or his tax returns. But such a request would probably face legal challenges. And it’s important to note, Rep. Waters isn’t the chair yet. She’s the ranking member on the committee and the senior Democratic member. She’ll likely become the chair but the rules and subpoena rights apply regardless of who holds the chair.